who, at the age of twenty years, gave his life in the Invasion of France, June 8th, 1944. And to all the other heroes who willingly and gladly gave and are giving their lives to rid the world of tyranny and oppression. I am George's sister whom he never met. I was born two years after his death. Now, being the only member of my immediate family still alive, I want to tell the stories I heard about George and dedicate them and him to the ages. George was the oldest of three sons, Tom and Arch were the younger. Tom was the Tommy of the letter that George wrote. All three brothers were graduates of Staunton Military Academy , SMA of Staunton, Virginia . George graduated in 1941 and went to Virginia Tech for college. George had passion and talents for swimming and held records at Va. Tech that remained unbroken for years after his death. I always heard that he had a goal of swimming in the Olympics, after his service to the country was completed. This excellence in swimming shows his character and determination, as he had suffered with polio in his shoulder as a child. I am not sure when, but George wanted to enlist in the army during World War II, like many brave, unselfish young men. With his military school education and ROTC at Virginia Tech, he could have been an officer which is what Daddy wanted. I am sure that it was not for a elitist desire but hoping his oldest son would be safer as an officer during the fighting. George wanted to enlist and fight with the men and ultimately he died with them. Fast forward to June 1944. George had earned the rank of Sergeant. He and many paratroopers jumped into France under darkness on the night of June 5. The plan for the beginning of the allied invasion of Normandy was thousands of paratroopers to jump into France and make their way to the cliffs of Normandy from the interior of the country. The next day, the invasion began from the sea, and if all had gone as planned, the Germans in the bunkers at the top of the cliffs would have been surrounded. The best planning had unforeseen flaws. Sadly, many of the paratroopers were lost, landing in trees, separated from their buddies, or engaged in battle with random German soldiers. George fought bravely at La Fiere Bridge a key position on the road to St Mere Eglise. He continued to fight until all his men were safe even with a wound in his hip. He was awarded, posthumously, a Purple Heart for being wounded and a Bronze Star for bravery. Today, the wound would not be life threatening but this was before wide use and availability of antibiotics. Please read the section about my mama and her project through the years to turn this family loss and tragedy into a blessing to other service men and their families. She loved to receive letters of testimony about people being encouraged by George's little book up until she died at 94 years of age. After the award ceremony for mama at the Pentagon, our family was invited to Fort Bragg where Mama was the honored guest at a parade and a street was named in honor of my brother, Tullidge Way. At that time, my brother Tom donated the original letter George had written to him (in the front of the booklet). Tom said, "George would have wanted the letter there. " Mama was also awarded the Iron Mike Award of service from the enlisted soldiers at Fort Bragg. Today, after all these years, this little booklet is still reaching and encouraging people. I have had emails from people requesting copies and am down to 9 of the original copies. Some have been printed by nieces and nephews. This is the impetus of me doing this now. I have ordered more copies of the booklet printed. And honestly, reaching the big birthday of 70 encouraged me to do my part. Just recently, a great niece was visiting the American Cemetery to visit George's grave. At the entrance you enter a building and a docent locates where your loved one is buried. He will walk you to the stone. He asked my niece if she was related and she said ," Yes." The guide said that there are quite a few visitors who ask to visit George's grave purely from his story and A Paratrooper's Faith with no blood family connection at all. That alone encouraged me! 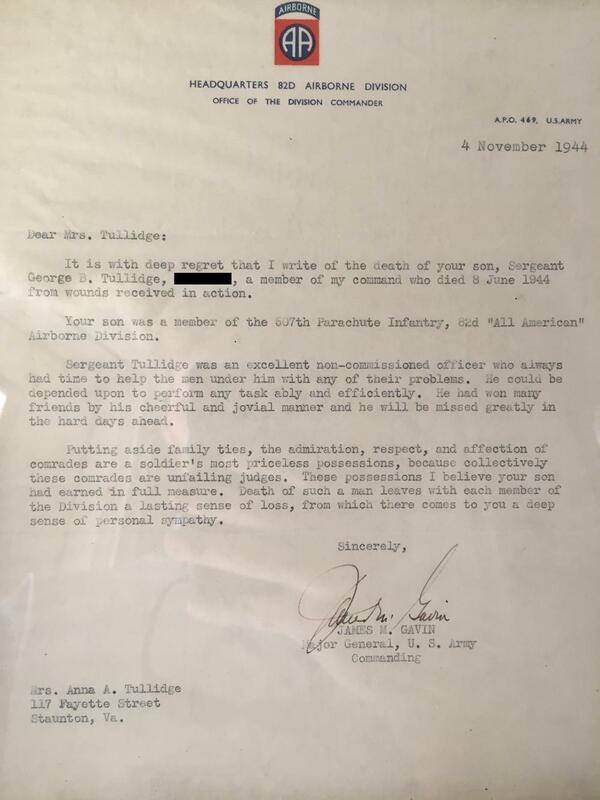 What a beautiful legacy of my Mama's love for her son and her generous and giving spirit and faith. .
Polio to Paratrooper is the story of George Tullidge. The book was written by Anne Archer Tullidge as way to memorialize George for the family. We are releasing the story now. 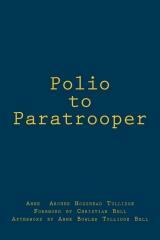 The proceeds from the sale of the book will be donated to charities that support our Armed Forces. The early landings, at about 0140 directly on the town, resulted in heavy casualties for the paratroopers. Some buildings in town were on fire that night, and they illuminated the sky, making easy targets of the descending men. Some were sucked into the fire. Many hanging from trees and utility poles were shot before they could cut loose. A well-known incident involved paratrooper John Steele of the 505th Parachute Infantry Regiment (PIR), whose parachute caught on the spire of the town church, and could only observe the fighting going on below. He hung there limply for two hours, pretending to be dead, before the Germans took him prisoner. Steele later escaped from the Germans and rejoined his division when US troops of the 3rd Battalion, 505 Parachute Infantry Regiment attacked the village, capturing thirty Germans and killing another eleven. The incident was portrayed in the movie The Longest Day by actor Red Buttons. Later that morning, about 0500, a force led by Lt. Colonel Edward C. Krause of the 505th PIR took the town with little resistance. Apparently the German garrison was confused and had retired for the rest of the night. However, heavy German counterattacks began later in the day and into the next. The lightly armed troops held the town until reinforced by tanks from nearby Utah Beach in the afternoon of 7 June. Krause and Lt. Colonel Benjamin H. Vandervoort both received the Distinguished Service Cross for their actions in the capture of the town. Sgt. 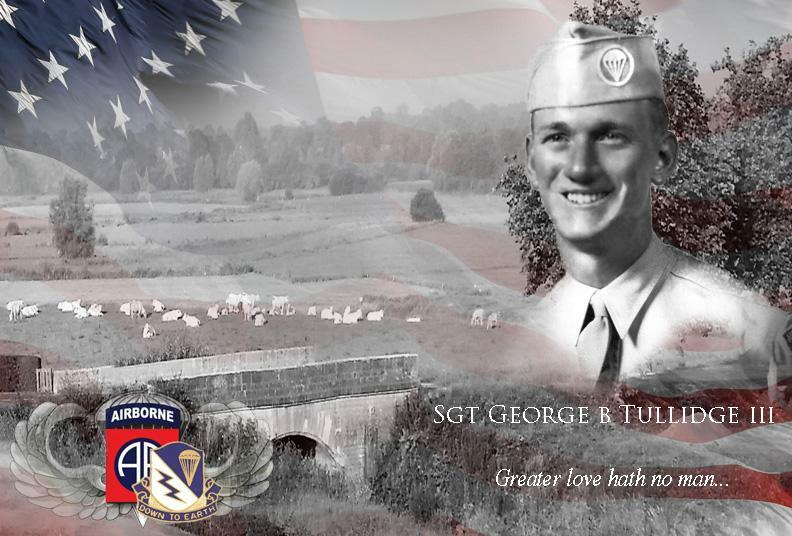 George Bowler Tullidge III received the Bronze Star, while a collection of Bible verses and of his letters home, A Paratrooper's Faith was distributed throughout the 82nd Airborne by his parents from after his death until the 1990s. 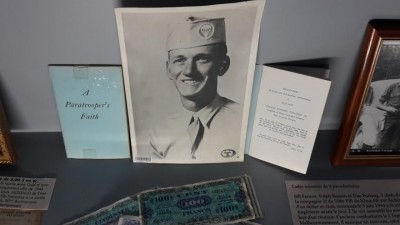 2nd Lt. Thomas J. Tighe of the 70th Tank Battalion received the Silver Star posthumously for his actions on the morning of June 7th in securing the town, during which he was killed when his tank was hit by German artillery fire. Henry Langrehr was also involved in the capture of Sainte-Mère-Église. He crashed through a greenhouse roof, as retold in the The Longest Day. On 6 November 2007, along with five other men he received the Legion of Honor medal from the President of France, Nicolas Sarkozy. Letter from General Gavin following George's passing. 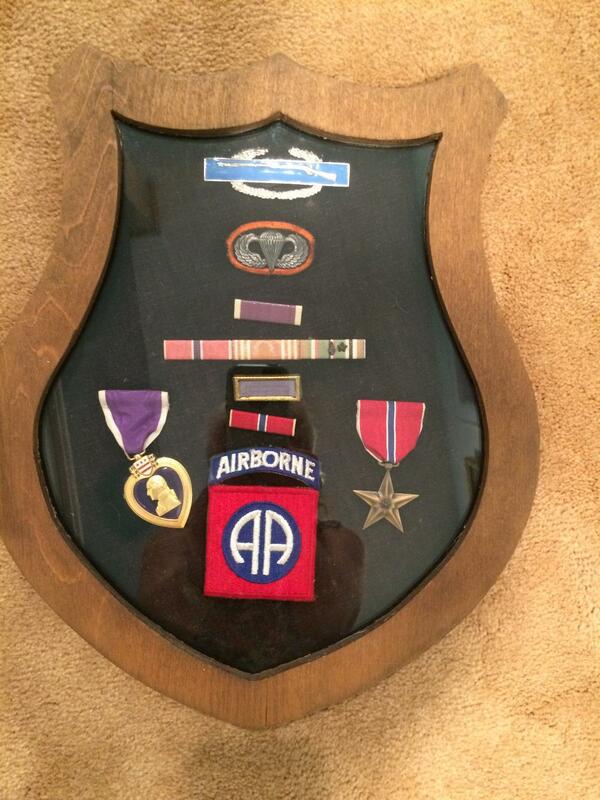 George's medal including Purple Heart and Bronze Star. 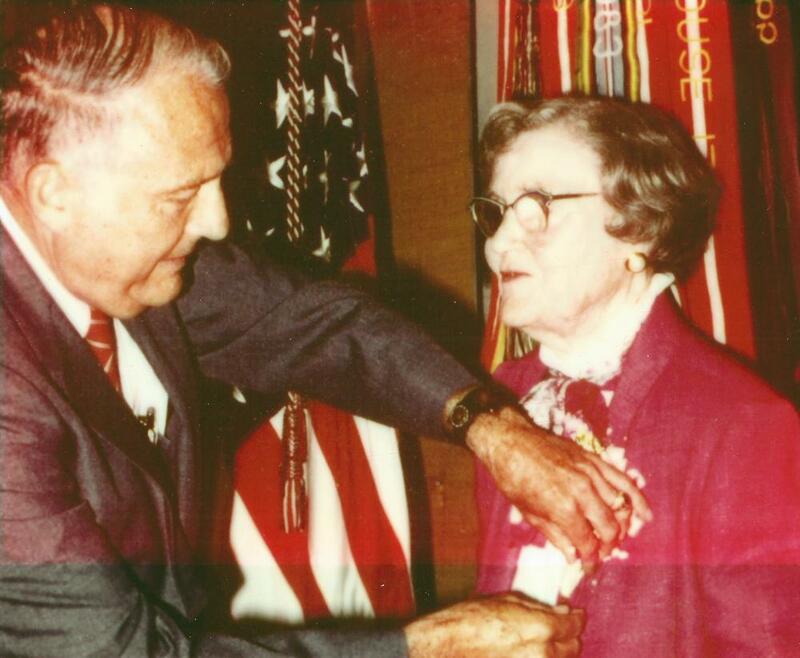 In 1989, Anne Archer Tullidge was awarded the "Decoration for Distinguished Civilian Service" by John Marsh, Secretary of the Army, who cited her personal commitment, deep concern, and unselfish devotion to the United states Military. She printed and distributed 300,000 booklets over 50 years. We, her family, are honored to continue this, her project. Anne Archer Hogshead Tullidge, author of " A Paratrooper's Faith" died in 1995. She used the pain and loss of her oldest son's death to be a source of comfort and encouragement for thousands of others. George's final resting place with his fellow American soldiers in the American Cemetery in Cambridge, England. Until recently, George's grave was incorrect. It had listed him as a member of the 17th ABN. 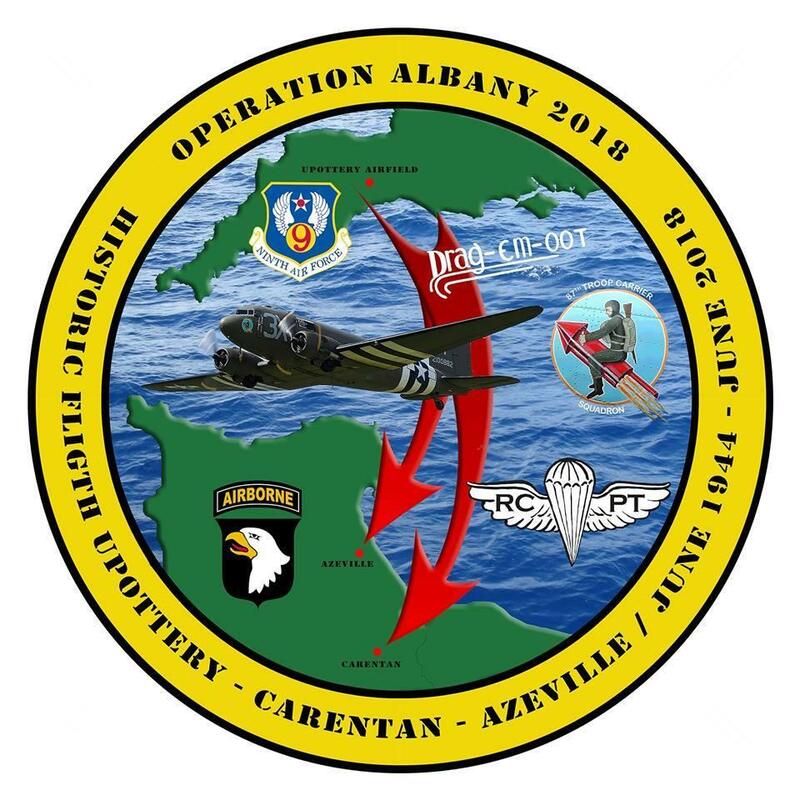 On D-Day, the 507th was attached to the 82nd. Due to the tireless effort of George's sister, this error has been corrected. Please click here to see more about our visit.